Self-organization is not only a feature of urban evolution, but also found within urban environments. 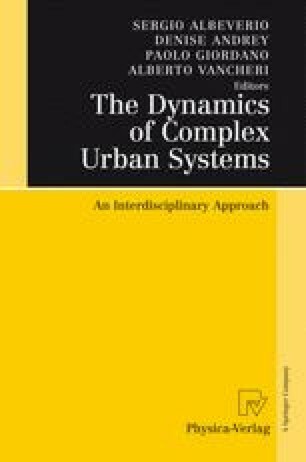 Here, we will focus on three aspects: (i) spatiotemporal patterns in pedestrian flows and their implications for optimized pedestrian facilities, (ii) trail formation of pedestrians and their consequences for improved way systems, and (iii) a self-organization approach to an adaptive control of traffic lights. This chapter will discuss the problems, modelling concepts, results, and solutions, while the mathematical formulation and analysis of the models is presented elsewhere.